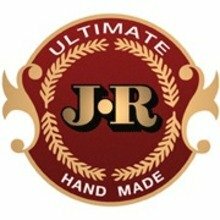 The super-aged 5.00 x 54 JR Ultimate Cabinet No. 40 features a long filler blend of mouthwatering tobaccos that’s wrapped in an eye-catching and tasty Ecuador Sumatra wrapper. These premium cigars are loaded with lots of full, earthy, rich, and woodsy flavors with hints of cedar and spice. Smokers of any world-famous premium cigars should give these a try because they are just as great in flavor, quality, and dependability – if not better. Plus they have won over 10 gold medals. Available in boxes of 25, they are a top seller and extremely affordable.